Bzees is playing your tune with the Melody. This wedge athleisure looks adorable on. Strappy details adorn the low-cut vamp, highlighting the cute silhouette and fun colorways. 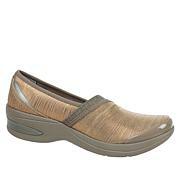 And if you love lots of stretch, footbed cushion and ample arch support, the comfort factor can't be beat. Right out of the box a great fit and so comfortable! I have tile floors throughout and the cushioning keeps my feet comfortable all day with no foot pain all with great style. I wore them for the first time and loved the look. Besides being good-looking they felt awesome. The size was true blue. 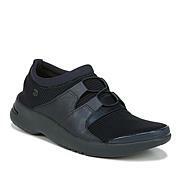 I actually would want another pair but in blue only when I went back they were gone in my size.Darn it! I love love love this shoe. 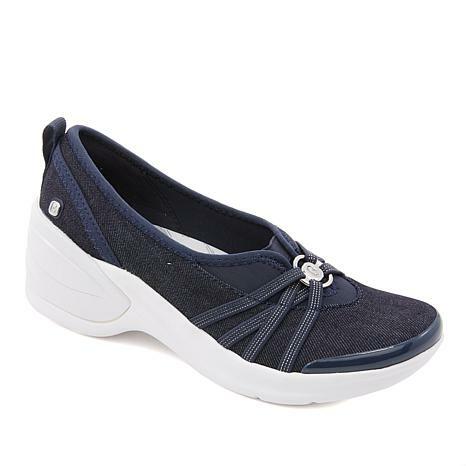 I work at a job where I have to be on my feet all day and these shoes were so comfy.I had my 90 Year old mom try them on and she loved the comfort.I bought these in two different styles. 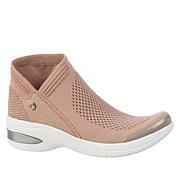 These are my first pair Bzees.Theese are cute ,fit well and looks nice on. love, love love them. 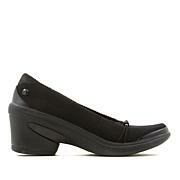 Wear them all the time, so comfortable and get lots of compliments.